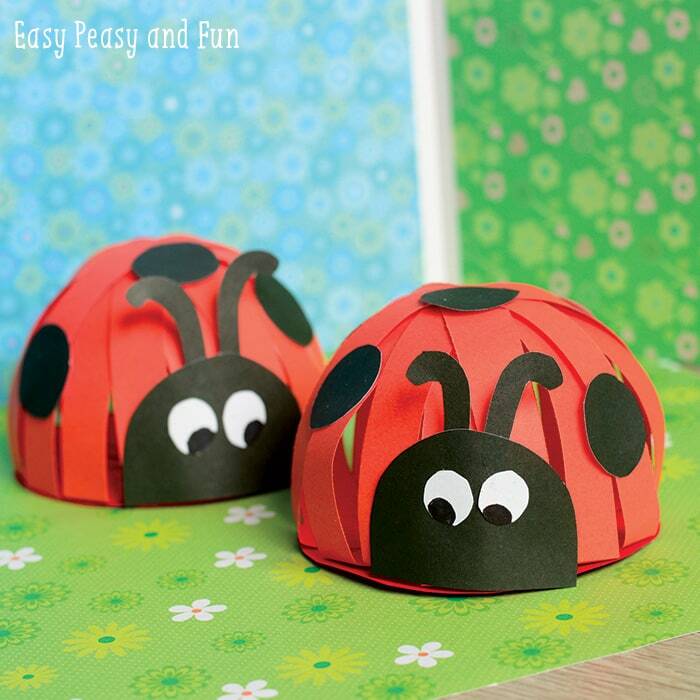 Here we are with another adorable and simple paper ladybug craft, we’ve made this ladybug paper craft a while ago but as crafting with paper is just so fun it was time to make another, different one. 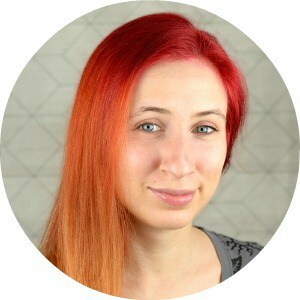 After all this cute little bug deserves more spotlight right? 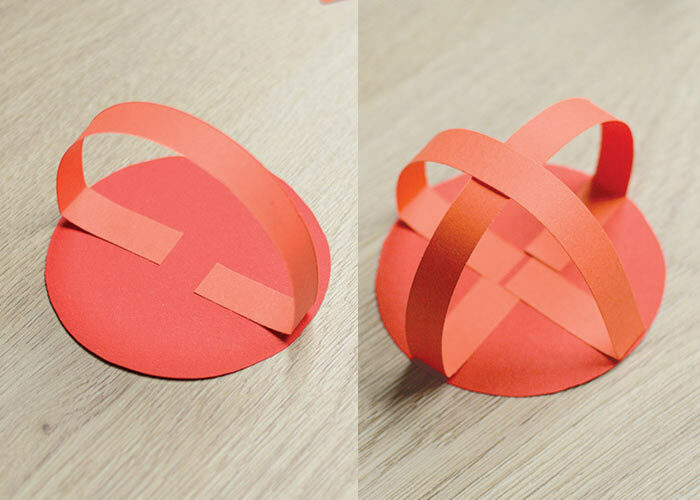 Cut a circle shape out of red paper (it’s best to use construction paper as base). 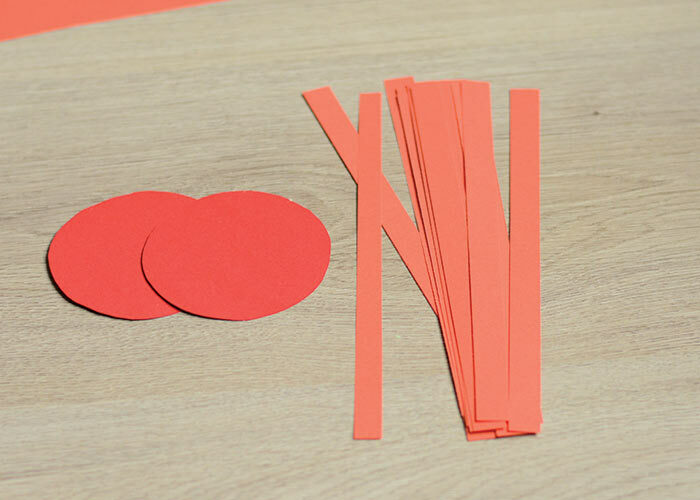 Cut strips of red paper. 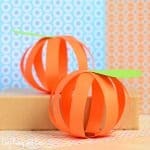 Take one strip of paper and glue it onto the base as shown on the picture. Glue on the next one at a 90° angle to the first one. Continue with next two, placing them between the first two. 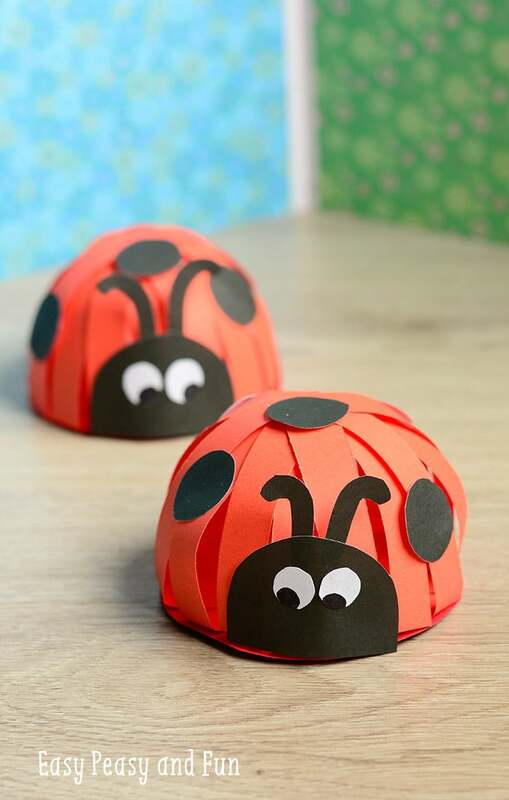 Depending on the size of the ladybug you are making you will need, or better say be able to, add more strips of paper to make the body of the ladybug more full. 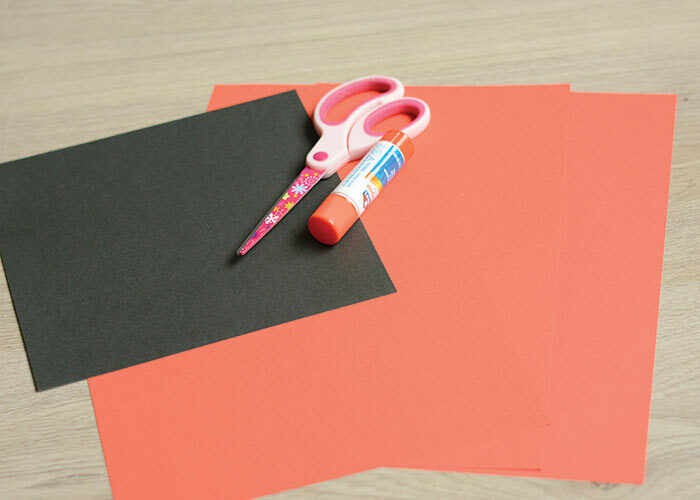 Cut the dots (we used the glue cap as a template) out of black paper. 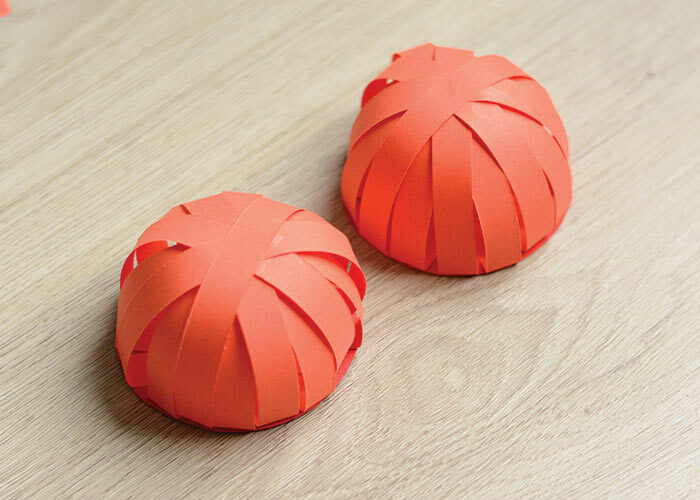 Also cut a half circle shape for the head and two antenna. 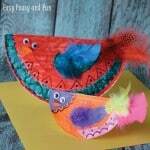 Cut two small oval shapes out of white paper and draw the eyes with black marker. 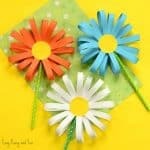 Glue on the dots and head with the stick glue. 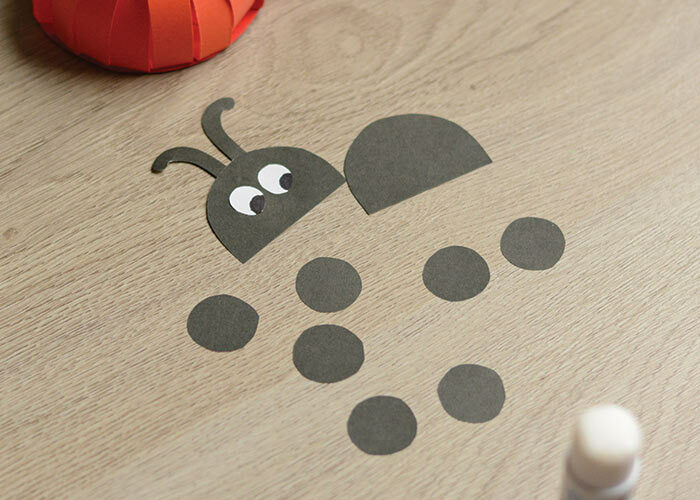 Love these little cute bugs? 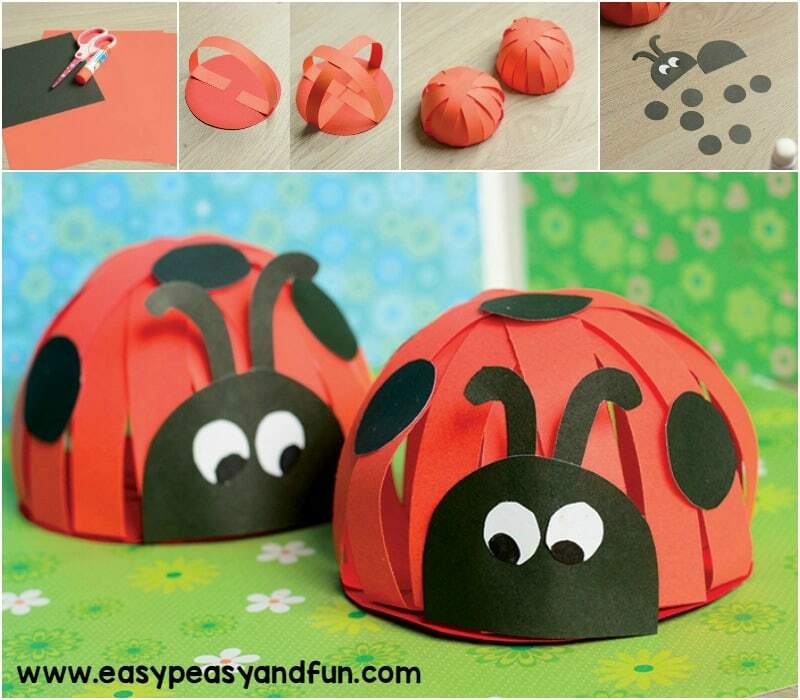 Why not make leaf ladybugs, such a fun nature craft to make. 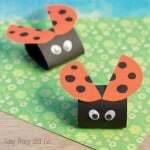 Or how about some super simple fingerprint ladybugs. 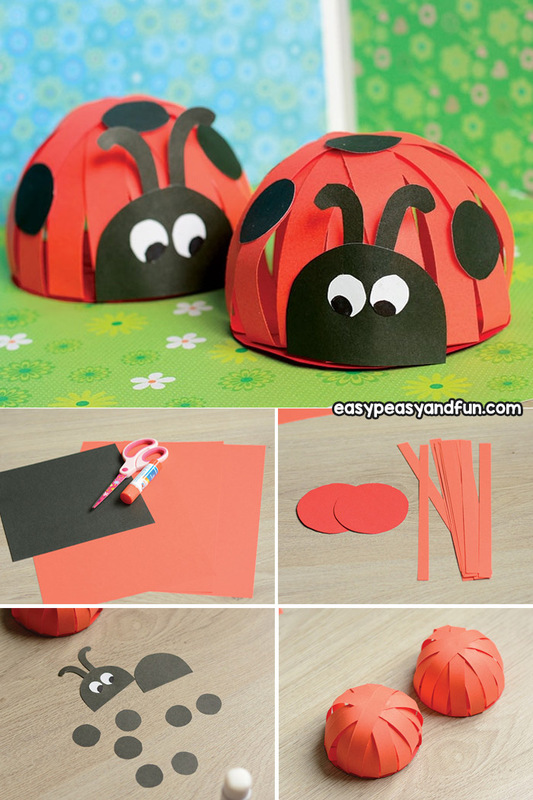 Or gather some rocks and make rock ladybugs. 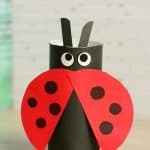 We made them today, they aren’t quite as good as your’s but still cute!